Srinagar:Polling for the first phase of Lok Sabha elections started for the Baramulla seat on Thursday morning. Unprecedented security arrangements have been put in place by the authorities and the election commission, to ensure peaceful polls. The polling started at 7:00 AM and will culminate at 6 PM later today. 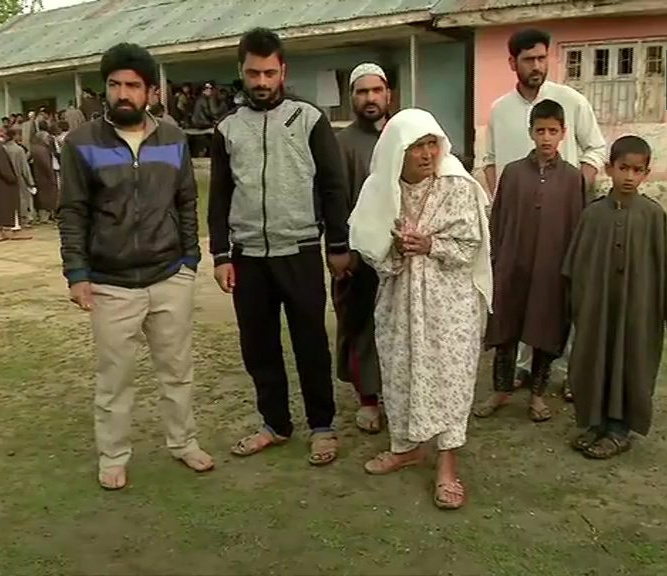 Reports said that people in large number are coming forward to cast their vote to their favourite candidate in parts of Baramulla since morning. Meanwhile, Hurriyat in a statement had called for complete shutdown in the valley today.